Garfield A. Goodwin moved to Tempe in 1888 and began his long-time commitment to Arizona State University and the revitalization of Tempe. As a student, Goodwin played on the Territorial Normal School's first football team. As an alumni, he helped Tempe Normal School become a four-year accredited institution and acted as secretary of the school board. Later he promoted the creation of Tempe's first football stadium and headed the Tempe Beach Committee to establish the city's first park. If that wasn't enough, citizens elected him mayor, an office he served in from 1924 to 1926. Goodwin also served on the City Council for 6 years and was the President of Tempe Commerce and the local Rotary Club. Amid all of his service to the city, he found time to run a Mill Avenue curio store, which he opened in 1903. Goodwin would make frequent trips to New Mexico to purchase Native American arts and crafts that he sold in the store. Goodwin is one of many who capitalized on "Arizona culture," which borrowed from many Mexican and Native American cultures. He ran the business until his death in 1944. Many of the Native American artifacts Goodwin collected can be found in the Heard Museum. The property and much of the merchandise was sold to an acquaintance, Larry Miller, who ran the store until 1965. 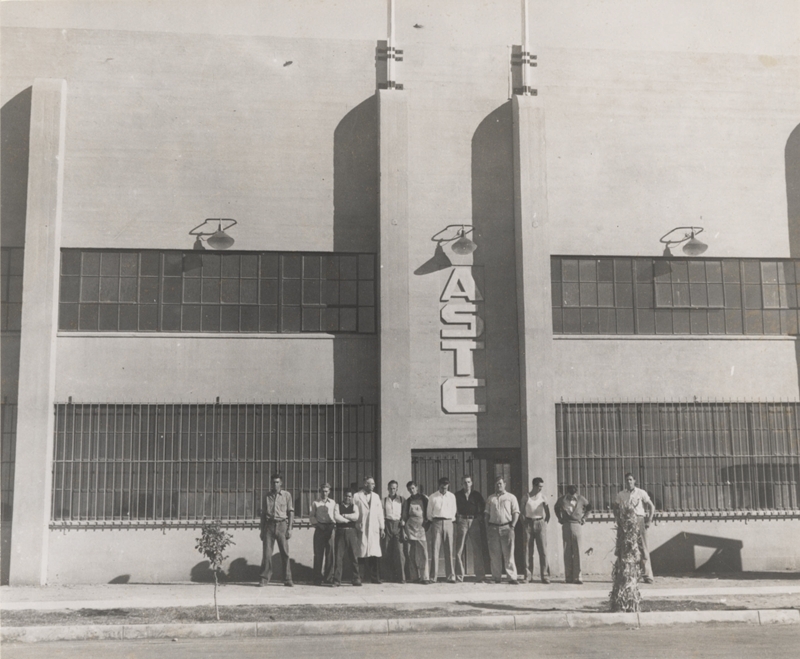 The building is now home to multiple businesses, but retains much of the original interior and exterior. Today, the original awning that once held the curio store's sign is still intact. Goodwin Novelty Store, ca. 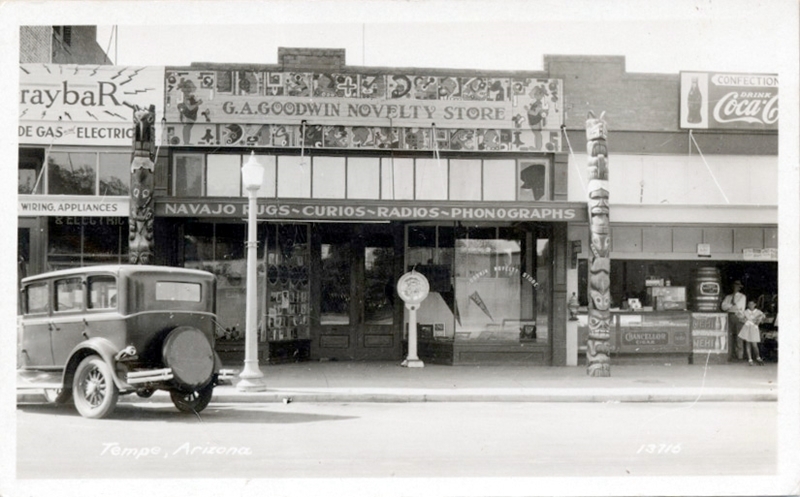 1930: This shot of the Goodwin Building, taken around 1930, shows the eclectic wares found in the store. The decorative totem poles and scale seen here now reside in the Tempe History Museum. Photo courtesy of Tempe History Museum. ~ Source: B/W of Exterior of Goodwin Novelty Store, c 1930. 2003.30.8. Tempe History Museum. Garfield Goodwin, ca. 1925: Garfield Goodwin was a prominent member of the Tempe community, helping to build up the Downtown area along with Arizona State University during the Depression and beyond. 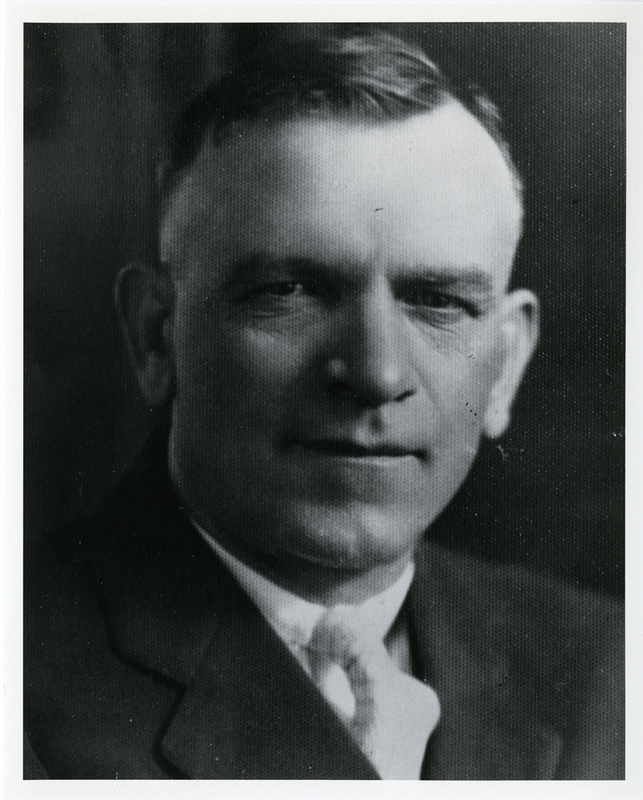 He served as Tempe's mayor from 1924 to 1926. Photo courtesy of Tempe History Museum. ~ Source: Garfield Abram Goodwin, Tempe Mayor 1924-1926. Photograph, c 1925. 1987.35.9. Tempe History Museum. 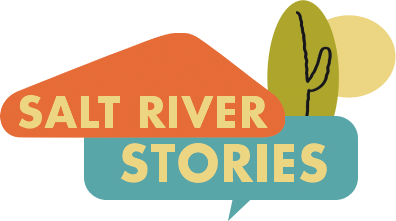 Holly Solis, “Garfield Goodwin Building,” Salt River Stories, accessed April 20, 2019, https://saltriverstories.org/items/show/50. Tempe Preservation. “Garfield Goodwin Building.” City of Tempe, Az. Accessed January 27, 2014. http://www.tempe.gov/index.aspx?page=1680.